The Gregory family settled in the rich farmlands of Southwest Iowa in the early 1860s. Gregory Feedlots sits on the original homestead. Both of Jim and David Gregory's grandfathers were active in farming as well as raising livestock. Their father, Warren Gregory, was one of the founders of the Midwest Livestock Feeder's Association and was widely known for his achievements in soil conservation. Jim and David Gregory have continued the family livestock feeding tradition. Today the family owned business consists of several hundred acres of cropland and a custom cattle feeding business, which began more than 35 years ago. They are involved with numerous cattle associations, including the National Cattlemen's Beef Association and the Iowa Cattlemen's Association. GFL has a total capacity of approximately 8,000 head. Individual lots have capacities ranging from 50 to 250 head each. 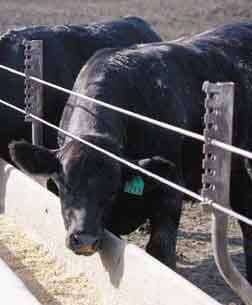 Smaller pen sizes allows for efficiently handling smaller feeders who are otherwise not served by some larger feedlots. 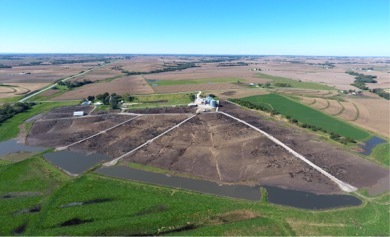 Each pen features sloped, earthen mounds and concrete aprons to maximize drainage and control the effects of lot conditions on your cattle's performance. Several large area packers, including Tyson, Excel, Greater Omaha Pack, Swift and Nebraska Beef.